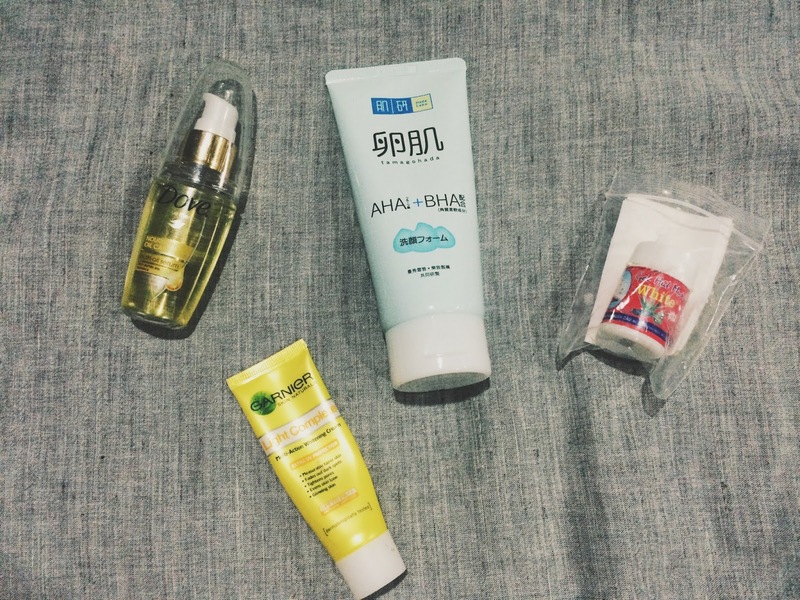 Current Beauty Favourites - Hada Labo, Dove, Garnier, And a Pore Mask! I love to use this hair serum right after I towel dried my hair. That means I'll apply this serum when my hair is still damp and almost dry. This leaves my hair feeling so soft and smooth plus it makes my hair frizz free when it fully dries and more managable! For the price of RM20++, you really can't go wrong with this hair serum. I have quite a sensitive skin so it is hard for me to find a good moisturizer that won't break me out. This one fortunately, doesn't break me out at all. It doesn't doesn't really have an amazing moisturizing ability but I find it great in controlling the oil production of my skin. Furthermore I find that it really helps with brightening my acne scars and my overall complexion. The SPF17 is a plus point, but of course I do still need extra protection from the sun. Can't skip sunblock! If you're suffering from blackheads and whiteheads, you should really check this baby out if you haven't yet. This literally takes EVERYTHING out from your pores. The application can be a little messy, it's like applying glue on your face. And then you will need to stick the tissue paper thingy onto the glue on your face and just wait for it to dry, then pull. You will be amazed on how much blackheads or whiteheads this pore mask pick out. May I warn you that it can be quite painful to take off at first, but you will get used to it. Beauty is Pain, right? You can simply get this at any local beauty stores or insta shops. Just type in #vietnammask on the search bar. Price ranges about RM7-10. So worth it! Here to share knowledge, interests and experiences with you guys.